Slide-Lok of Milwaukee will be happy to assist you any home project. 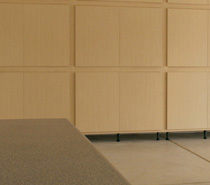 We specialize in Storage and flooring for the garage, closet, kitchen patio, warehouses, and more. Contact us or click a link below for more information on many of our products. *TAX not included. Limit one per customer. Natural maple only. Cannot be combined with any other offer. Contact your Local Slide-Lok dealer for warranty info.